Another installment of Thursday Treats coming at ya!!!! I am already loving this new little tradition! I am forever forgetting my bulkier sunglasses & eyeglass cases when running out the door. And man, I really hate myself if they are to ever get a scratch. 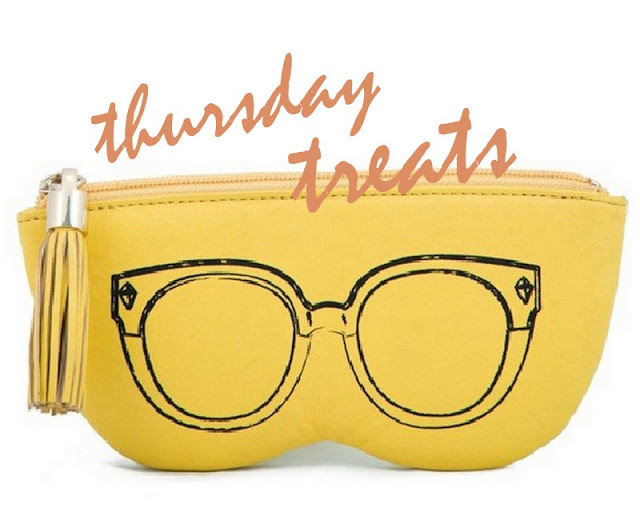 How sweet & fun is this Rebecca Minkoff case?! Mama LOVES!!!! Smaller and cute, I wouldn't ever forget the have this around! Plus - I'd totally use it for a tiny wallet when running to the grocery, for just my important cards! That is the CUTEST case. Love it. That is just beyond adorable! I love Rebecca Minkoff, I have a few little pouches but this one is adorable! That is the cutest! Haha. Makes me smile! That case is absolutely DARLING! Too fun.